It is with very sad duty that we inform you that Brother Harold McBurney, CD, has passed to the Grand Lodge Above. Cpl. Harold McBurney, CD, born February 17, 1957, died peacefully on Thursday, June 9, 2016. He was a veteran of the War in Afghanistan, where he served in the International Security Assistance Force with the Canadian Forces. His 220 days of service earned a bar on his General Campaign Star, awarded to those who directly participate in a military campaign. Cpl McBurney was a serving member of the Canadian Armed Forces from 1998, initially as a reserve soldier, a medic, with the West Nova Scotia Regiment. He joined the regular Forces of the Canadian Army in 2004, serving as a medic at CFB Borden, in medical supply at CFB Petawawa, with the Security Force in Afghanistan, in the supply depot in Halifax which required service on several ships, and latterly he worked on shore at CFB Halifax – Shearwater. 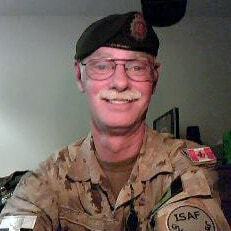 Those 18 years of service earned him the Canadian Forces Defence (CD) medal, awarded to those soldiers who have provided good and loyal service. Cpl McBurney exhibited all the traits of a good soldier. Working diligently at his assigned task, he could be counted on to remain focused, and to sort out any situation expeditiously. He was proud of his marksmanship badge, modestly crediting it to the principles of care and focus that he teamed from his grandfather. Prior to his service in the Canadian Army, Cpl McBurney was employed at Marine Atlantic, and previously at Digby County Ambulance, at both for several years. A loving husband and father, he will be sorely missed by his beloved wife, Johann. He is survived by his two step-daughters, sons-in-law and grand-daughters: Dale, Colin, and Madison in Calgary, and Valerie, Willie, and Jorja in Mavillette. His parents, James and Verna McBurney, predeceased him. He is survived by his brother, William (Brampton, ON), and his sister Eleanor Adams (Digby, NS). A keen motorcyclist, Cpl McBurney rode with the Canadian Army Veterans Motorcycle Unit (CAV), in the ‘Battle of the Atlantic’ Unit, Halifax. He participated in many fund-raising rides for established charities, and to support veteran-related causes. He rode “for the joy of going for a cruise on the motorcycle with Johann, going off the beaten path and winding up at Pearl’s for an ice cream. To me, that made my day.” Cpl McBurney led an honest, upstanding life. His aim was to do only good deeds. He participated in his community, as a volunteer fire fighter for a decade, attending Remembrance Day programs at St Mary’s Bay Academy where he patiently and courteously responded to the many questions the pupils asked, and assisting with construction tasks as requested by his wife. He has many admirers who recognize the quiet dignity and forbearance of this gentleman, who was extraordinary in his sense of pride and adventure. Cpl. McBurney was a member in good standing at the King Solomon Lodge 54 in Digby. Funeral arrangements are under the care and direction of Sweeny’s Funeral Home and Crematorium, Yarmouth. 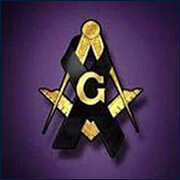 There will be a Masonic Service at the Digby Firehall on Saturday June 18, 2016 at 2 P.M. At a later date, there will be a Military Memorial and Interment Service at the National Military Cemetery at Beechwood Cemetery, Ottawa. His ashes will be escorted there by the CAV riders.